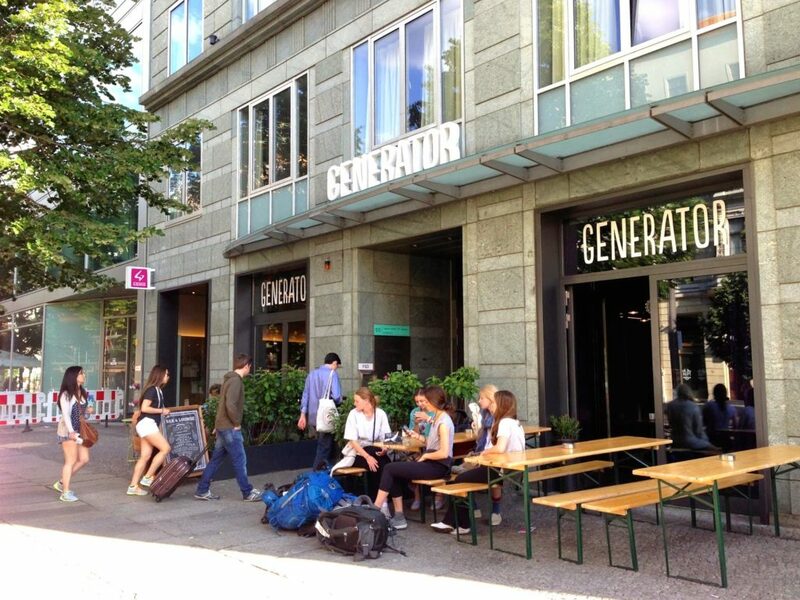 During our time in Berlin, we had the luxury of staying in one of the most happening hostels in Berlin, the Generator. A colleague of mine Tania started her own booking company, The Poshpacker, a site dedicated to helping travelers find hip and affordable hostels catered towards millennials. Thus, The Poshpacker definitely helped ease the burden of searching for a hostel since all of the hostel recommendations fit well within my flair and standards. (highly recommend it for backpackers since it’s also a great vehicle for finding hostels to meet new people). While blogging can definitely have its perks, I was beyond surprised when I was greeted at the front desk with complimentary stays and breakfast tokens. 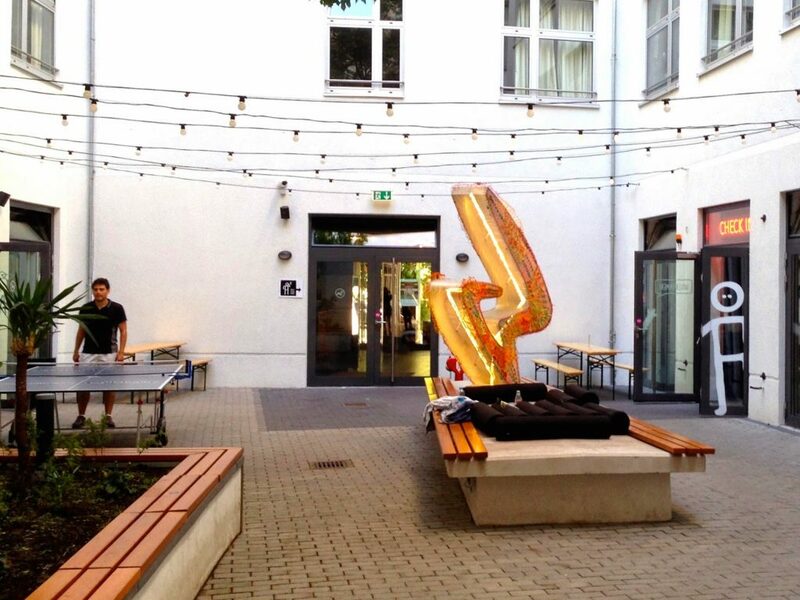 Not only did the welcoming greet get me amped up for Berlin, but the look and feel, the environment, rooms, additional amenities… it far exceeded all my previous Hostel experiences. 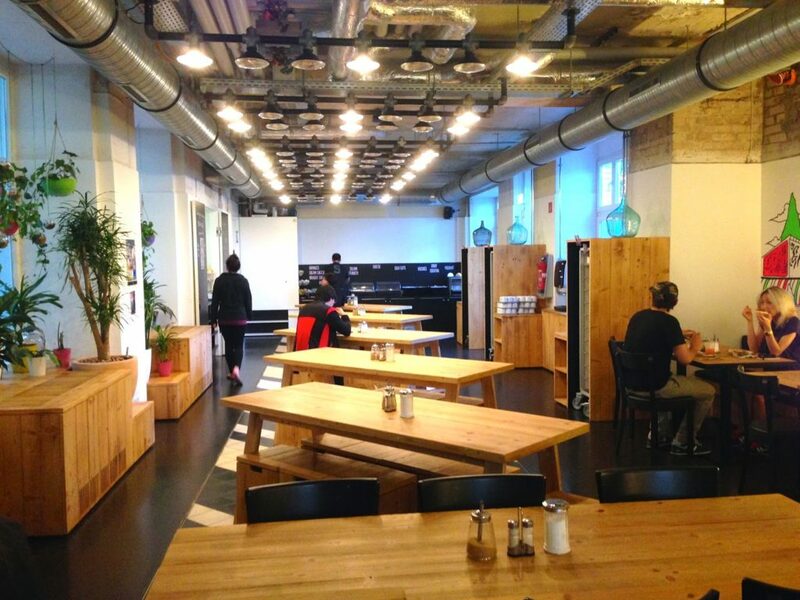 Hostel living can be luxurious and affordable, and the Generator is a great example of one. Everyone at the Generator was so nice and helpful. Not to say also stylish, perfectly blending in with the look & feel. Forgot something? No worries, the Generator had a bunch of stuff for purchase such as towels, outlet converters & postcards. I really appreciated that there was also a cafe downstairs for moments when we just wanted to sit-back, relax and dine. 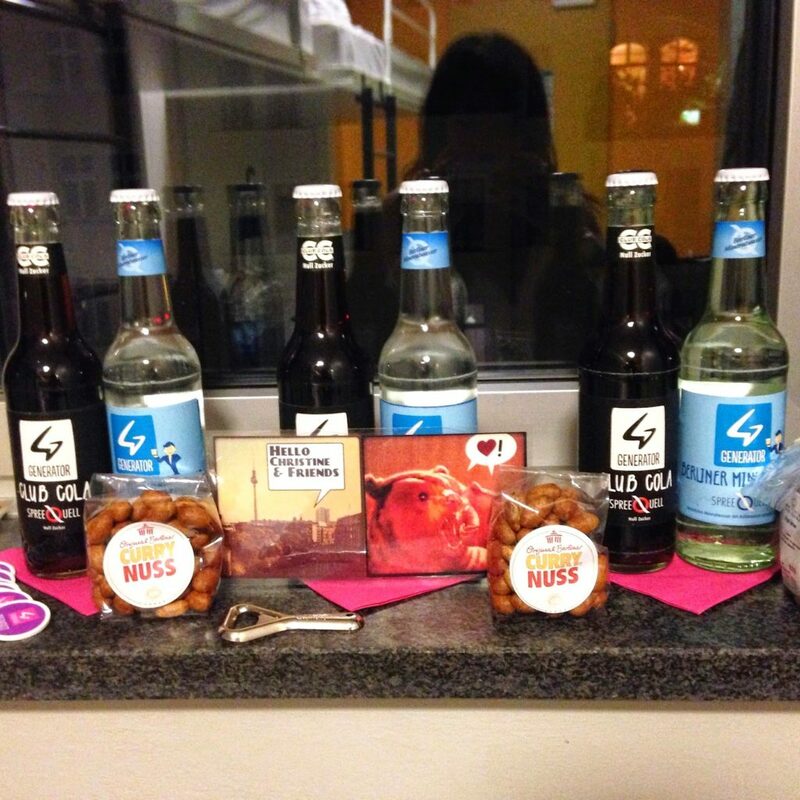 Currynuss, drinks and a personalized welcome card awaited us us in our private 4-bedroom hostel. Talk about knowing how to greet your guests and making the stay feel as customized as possible. Our cute little 4-bedroom Hostel. Super clean, modern, spacious, and with an AC unit that worked fabulously! Each bed had it’s own shelf, outlet and light. So useful, especially for those on the upper bunk-bed. The shower and toilet were located in 2 separate rooms with sinks & mirrors making it easy to get ready for the day. The cute outdoor area inside the Generator. 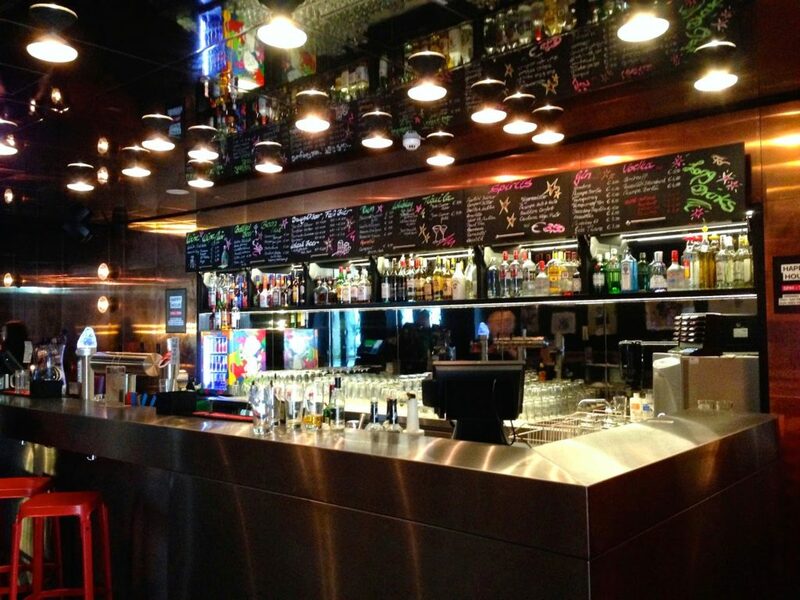 Another great place to socialize, relax or to play ping-pong! The lounge in the community room dining area with books available for reading. Such a comfortable place to chill. Truth be told, we only made it to breakfast on the days where we stayed up all night. 6AM on the dot, we got to enjoy a healthy breakfast of bread, salami, cheese, yogurts, fruits and cereal. One thing I loved about the Generator was the bar located just downstairs. Happy hour from 5-7PM there were people not even staying in the Generator coming here for the bar. 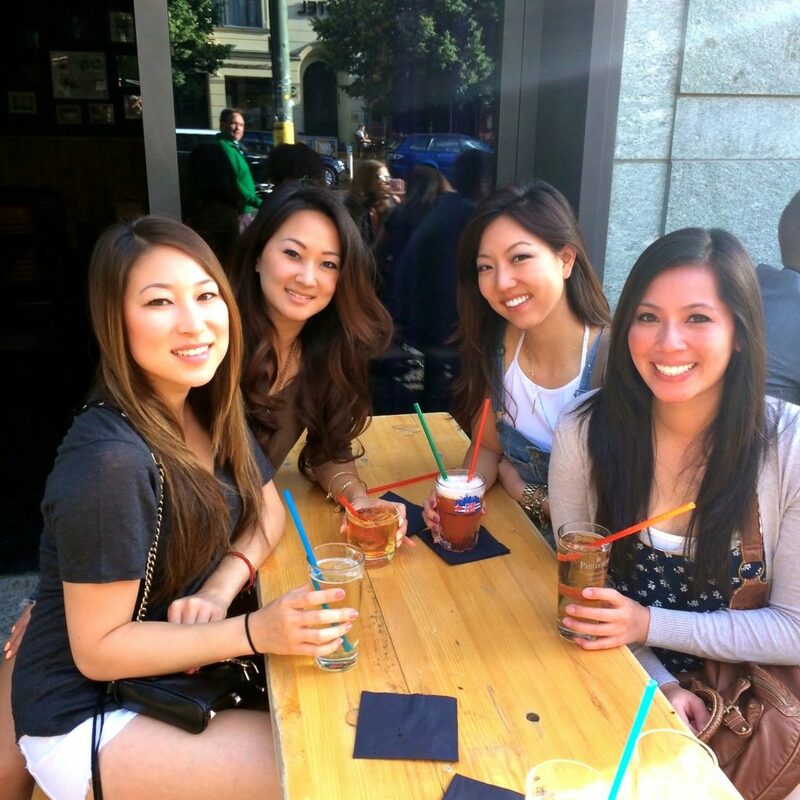 I couldn’t blame them though, the ambiance was super friendly and drinks were delicious & cheap. Sharon (practically a sister of mine), and Josephine (another good friend that I love traveling with). thats a pretty cool name, and this place is pretty tidy n great ! Looks awesome. My hostel time is behind me, but this place rocks, nice lounge! Looks like such a cool place to stay! I am sure you had a fab time in Berlin! This post could not have come at a better time. I always wondered how to seek out a non-sketchy hostel and the app that you mentioned is perfect. Also, what cute decor! 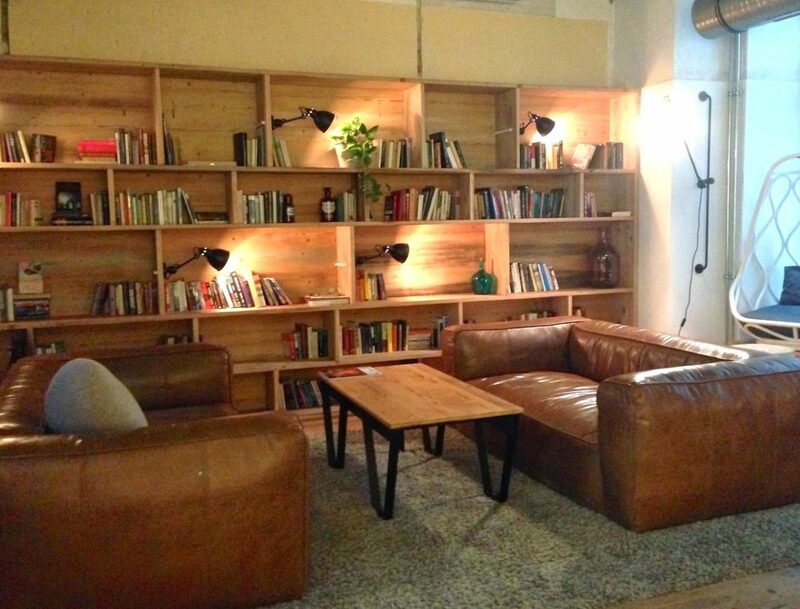 That's a pretty swanky hostel! The decor is great! 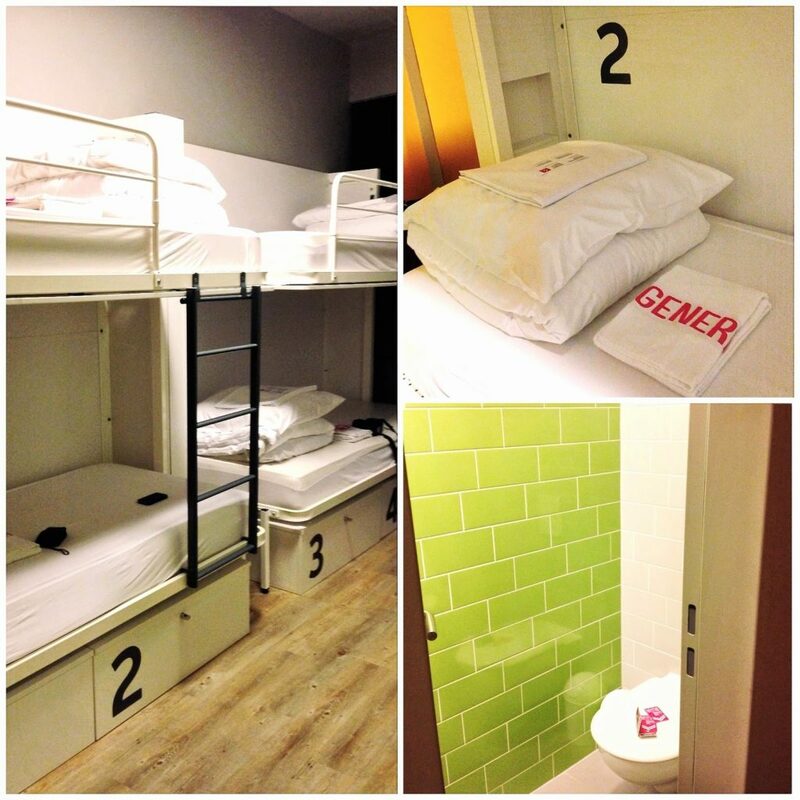 My friend was bag-packing in Berlin recently and ended up staying in a pirate-themed hostel hahaha!